Home » KBArticles » AWS AppStream 2.0 Whats New? AWS AppStream 2.0 Whats New? AWS AppStream 2.0 Whats New for June 2018? AWS have updated AppStream 2.0 to introduce some fantastic new features in the May & June 2018 releases. Google Drive support has been added (selectable at fleet creation). It only supports G-suite enterprise and must be enabled in G-Suite to function, but it also has support for multiple G-Suite domains. 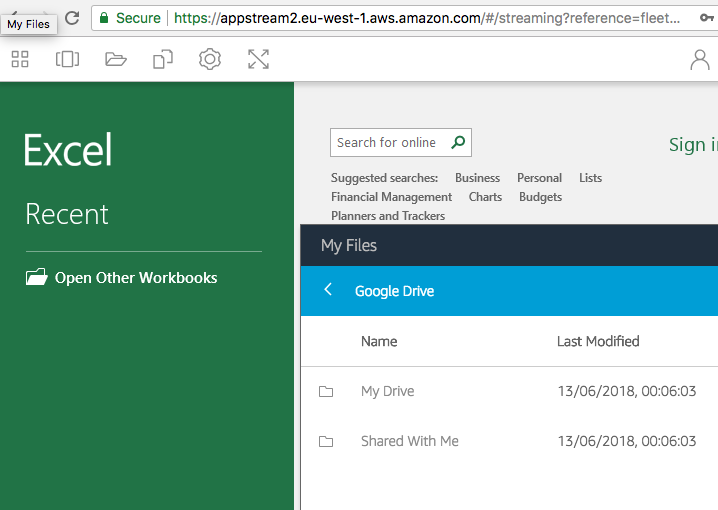 This means clients can avoid the clumsy upload and download of files from the local device to the remote and simply log into Google Drive and have immediate access to their files within the AppStream session. Here is a screenshot of the Windows Explorer integration and conveniently shows my free space as approx 8000 Petabytes! Good to know! Support for Administrative controls have also been added (again selectable at fleet creation). Giving the administrator greater control and flexibility in the solution they deploy to the users for things like local device copy and paste, file upload or download (or upload only or download only or disabled) and local print options.